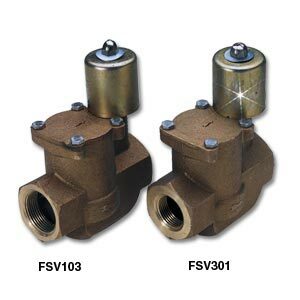 The FSV100 and FSV300 Series has been discontinued. Please see the SV6000 Series as a possible alternative or contact our Flow Engineering Department. Two-way solenoid valves cover most industrial laboratory applications. A two-way valve controls the flow of fluid through a single passage. It has two ports, an inlet (1) and an outlet (2). A normally closed valve does not pass fluid unless it is energized.